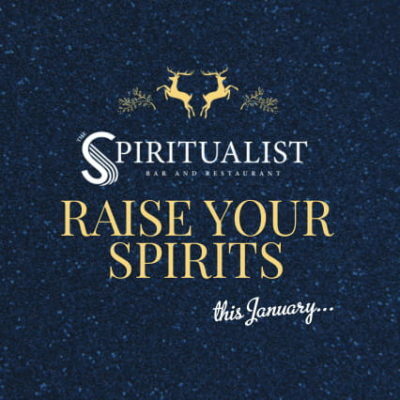 Happy New Year from all of us here at The Spiritualist! No need to give up your festive spirit this January, come see us and receive some spectacular discounts on your food bill! 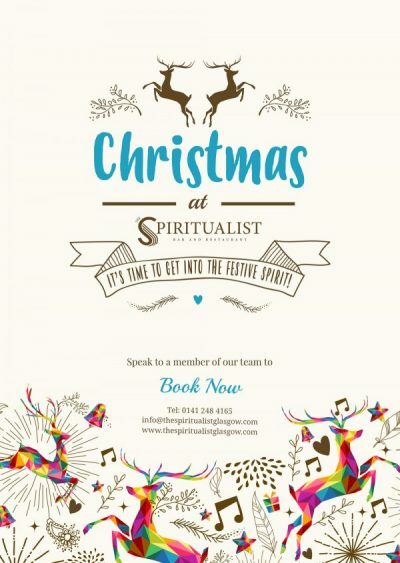 Get into the festive spirit this Christmas with merry cocktails and tasty dishes at The Spiritualist. Our team are on hand to get you booked in and to ensure that you have a jolly good time. Call us on 0141 248 4165 to book your festive reservation now.